Q.41 Sometime back, parliament of which country has given extension of Six Months t constitutional assembly to frame new constitution ? Q.44 Which of the following contries boycotted the International conference on Syria ? my score is 150 + 164= 314.
how do you calculate marks? i mean how many marks per question? have you attended exam really..? my score is 160 +158 = 318 and i hv mp domicile. there is any chance of my cracking pre exam. 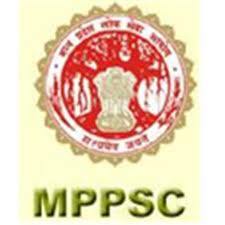 in mppsc wll there will be any reserved seats for Persons having MP As domicile..
each question hv 2 marks. may be 5 % researved for other state candidates. @ Asif......he is right....u r wrong. alaska was the part of russia previously...then it is sold by russia to USA..
Hi Anony ye sala sab jali hi hai.. Paper jaise board exam ka tha..
Centre jaise primary ki pathsala..
u r qualified for main Mr. Anonymous. Hi bro after alll these long hours of waitimg .. I found one below 300 .. Nice to hear u from.. No no seriously.. Nice to hear u..
iam getting 75,90+ out of 100 in paper I, II respectively.. Mine is 220+ and ikm in general category shal I get a chance to give mains. anyone can please post question paper also ? Hello Sir, Thanks for ur commendable efforts to compile paper one in fully question answer format. but there are some answers which might turned wrong(By Typo error). so, please correct it. & do post question paper two with solved answers also..
my score is 334 as mp psc answersheet kya pre ka chance hai. ..is score pe? 280 form SC . any chance for main?